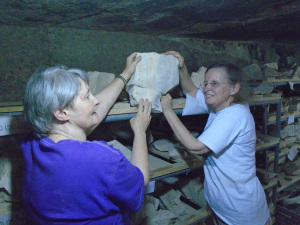 The 2016 season of the South Asasif Conservation Project is in full swing and our mission members are making amazing discoveries every day. 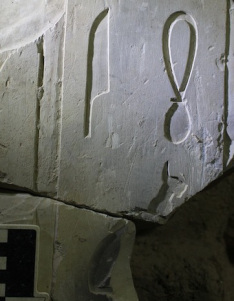 Most of the recent discoveries were made while working with small fragments of Karakhamun’s relief decoration. The more we understand the tomb the more we see incredible details that were overlooked before. Annie Howard and Francesca Jones were very happy to join a few fragments and bring back to life a couple of beautiful cats. Unfortunately Karakhamun cannot consider these cats his personal possession as he does with his favourite dogs. “That male cat is Ra himself, called Cat (miw)” from the text of BD 17 on the south wall of the First Pillared Hall in the tomb of Karakhamun.